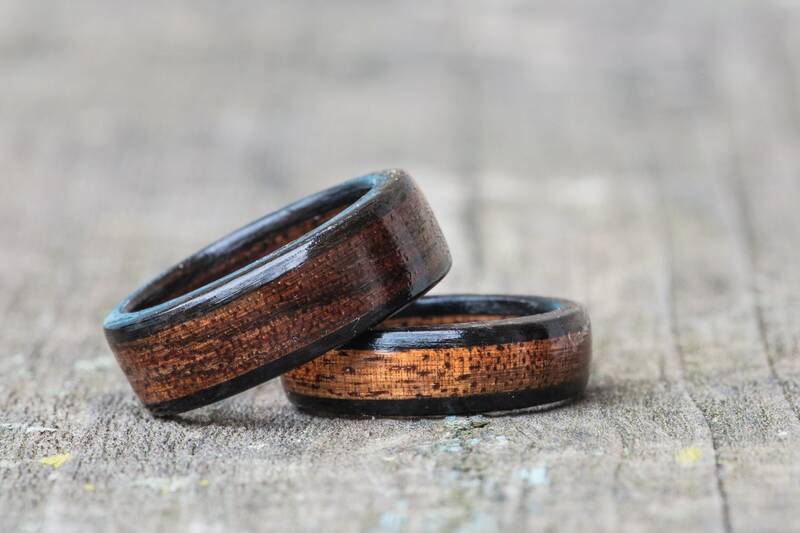 Hawaiian koa wood is well known amongst wood workers for it's beautiful wood, as well as guitar makers and guitarists for its unique tone quality. 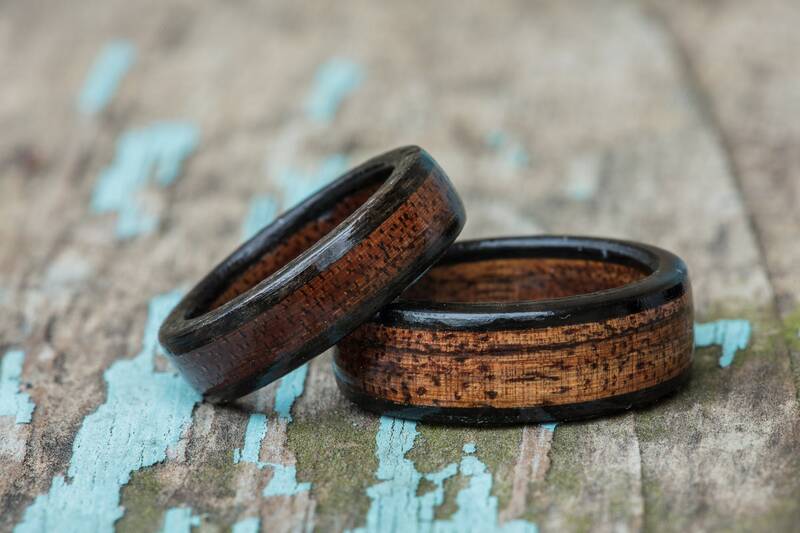 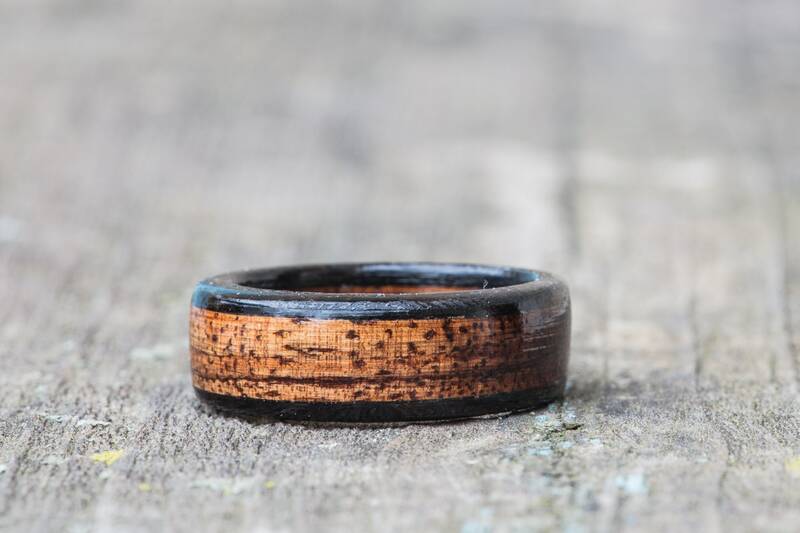 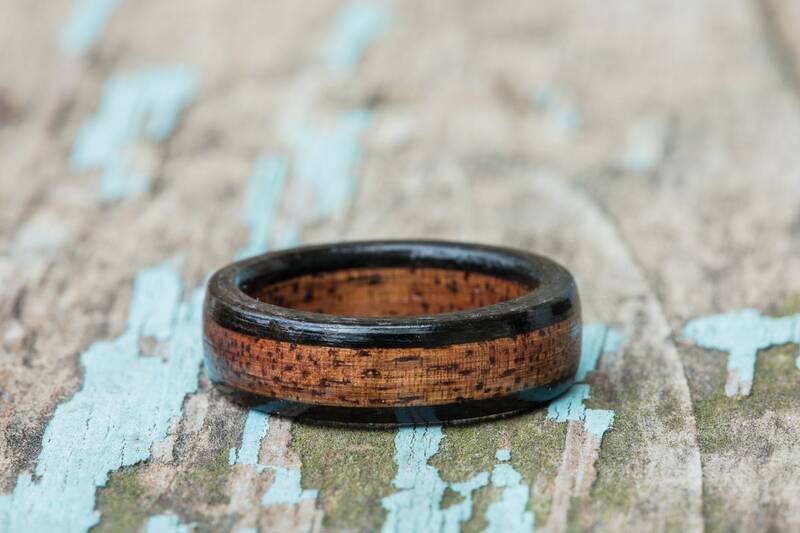 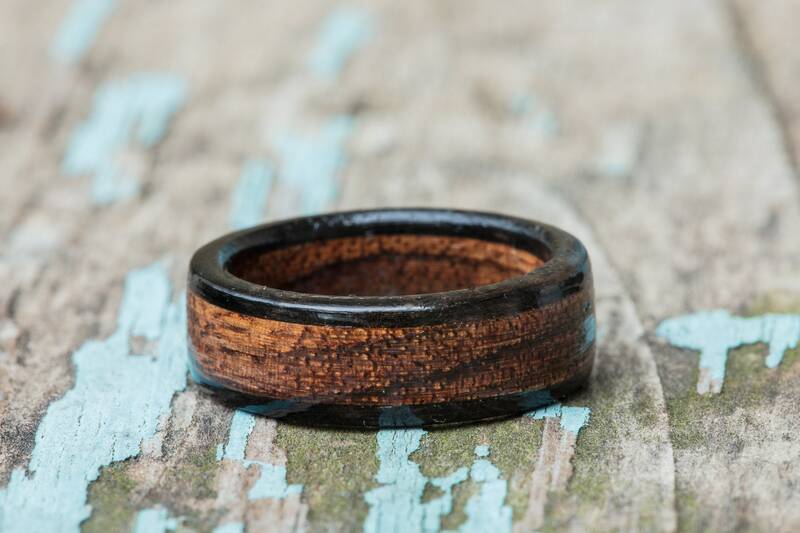 Our koa wood rings are made from solid koa wood, sourced from sustainable tree farms in Hawaii. 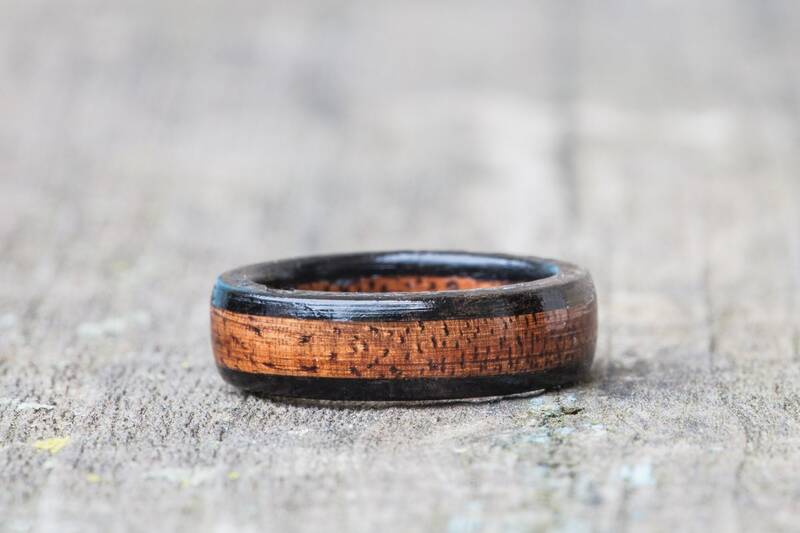 Each ring is uniquely made to your specifications, and will vary slightly from the example photos.